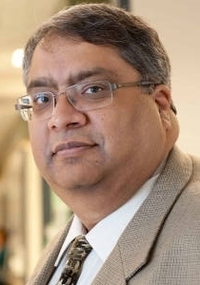 Dr Anand Kumar is a Professor of Medicine (Critical Care Medicine and Infectious Diseases), Medical Microbiology and Pharmacology/Therapeutics at the University of Manitoba and an attending physician at the Health Sciences Centre and St. Boniface Hospital, Winnipeg, Manitoba, Canada. He earned his medical degree from the University of Toronto in Ontario, Canada and completed his residency in Internal Medicine at the Toronto Hospital—University of Toronto. Dr Kumar subsequently completed Fellowships in Critical Care Medicine and Cardiovascular Research at Rush-Presbyterian-St Luke’s Medical Center in Chicago and Infectious Diseases at the University of Wisconsin Hospital and Clinics in Madison, Wisconsin. Dr. Kumar is trained in Internal Medicine, Critical Care Medicine and Infectious Diseases with translational research interests in sepsis and life-threatening infections. He has published over 450 original research manuscripts, reviews/chapters and abstracts.